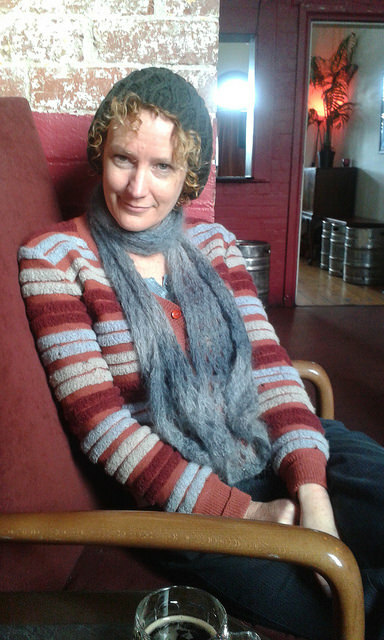 We had a short hiatus from Lychees or Peaches while I found my way out of a hole, but now we have Jane Rawson, author of A wrong turn at the Office of Unmade Lists! Here we go, Jane! Hard questions first: Lychees or Peaches? Oh peaches, without a doubt. Peaches are glorious, a little ball of heaven; lychees are revolting. In lychees’ favour though, they have very bouncy seeds. Bouncy seeds?? Jane? Oh never mind…If you were written about in a newspaper, what would the headline say? The books I enjoy most are those which are a little bit odd, a little bit magic, where strange things happen but no one thinks much of it, where things are slightly off kilter and reading them makes you see the world differently. So I try to write in that genre, whatever that genre is, because that’s what I enjoy. A wrong turn at the Office of Unmade Lists is about what happens when you live so much in your memories, they become your real life. It’s also about living in a climate-changed Melbourne, about time travel to imaginary places, about impossible quests in a made-up version of America, about bureaucracy, about jokes and about love. How did you come up with the title? Did it come to fistycuff’s with your editor? The Office of Unmade Lists actually plays only a very small part in my novel – Suspended Imaginums and Shadow Storage & Retrieval are far more vital to the plot and characters take more than one wrong turn at them, but they just didn’t sound as nifty in my head. Anyway, it’s a ridiculous title and far too long to be telling people over and over, so I suggested to my publisher we come up with a different title and he said no, because he loved that one. So now I’m stuck with it. I would want to sing George Gershwin’s Summertime, which I would totally butcher, but I’d feel fine about it when Leonard Cohen spun around and told me, ‘never mind: we are ugly, but we have the music’. Leonard Cohen? Did you got to his last tour? I did, and…. (this is not the time for this is it?) What do you really, really, really, love? Sometimes I go out with a friend or friends and we have a delightful time drinking and talking and laughing and all that. Then I step out onto the dark street and begin my walk home alone and that moment – when no one is watching and I can just be me – is the thing I really, really, really love. That, and Andy, who is my husband. 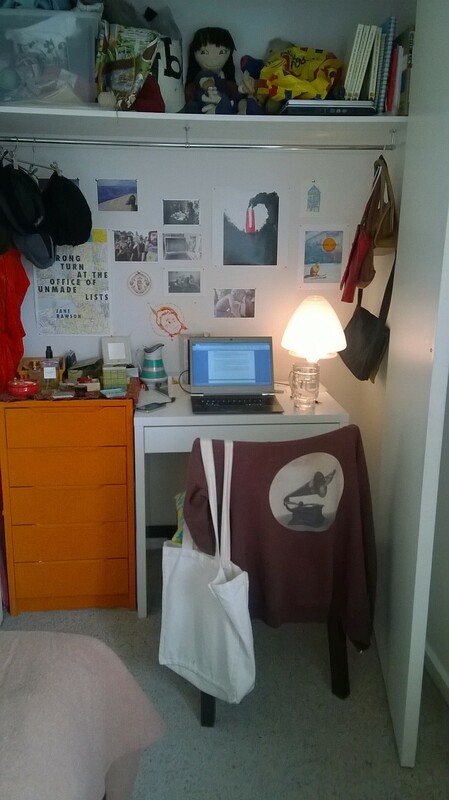 Yes, my desk is in the bedroom closet. I can hear the neighbour’s terrible music through the wall. Serious stuff now, Jane: where can we purchase your latest book? You can get a hard copy here at New South Books or it’s on e-book at Kobo, Amazon and Google Play. Thanks so much for taking part in Lychees or Peaches, Jane! More about Leonard Cohen and bouncy lychee seeds! And I get what she says about books not existing. Great stuff.